There was little doubt as to the album that Taylor Swift would be pulling most of her material from for the evening with the massive red curtain draped over the stage awaiting her arrival. The half hour before the show had the large screens showing footage of Swift and her band as the stadium filled with a sea of flashing lights and hand crafted signs. It was in the opening seconds as the curtains fell to reveal Swift that it was clear that she is a long way from the simple country artist that was featured on her debut record. State Of Grace announced that she is a bona fide stadium pop act with only the slightest notion of any twang left in her tunes. While working through tunes from Red, Swift was as comfortable working the large screens to great effect as she is strutting her stuff down the catwalk. No detail was left to chance with Swift’s band garnering red instruments, a sea of dancers surrounded her on stage, others waved large flags and luminous drums were rolled out before drummers flew around the stage. Video montages would play regularly to hail another costume change for the Nashville native that would undoubtedly involve a new pair of hot pants that would show off the longest legs in pop music. Swift makes impeccable and flawless records, so there is something about seeing that she is not quite as fluid in her movement as her dancers and that her immensely likeable voice will show signs of fault in the live area, yet there is no effort to hide these in a show where the performer never appears to be dialling it in. The stadium staples were all there as Swift was escorted through the crowd during 22 to a smaller stage half way through the stadium that would see her perform a short acoustic set. These stripped back moments of You Belong With Me and Begin Again are testament to the strength of the songwriting of pops brightest star. Things again arced up for the finale that saw layers of costumes being ripped off, an overblown version of I Knew You Were Trouble, Swift behind the piano for All Too Well, mechanical platforms lifting the singer over the crowd and a firework and confetti augmented version of uber-hit We Are Never Ever Getting Back Together to end things on a high note. 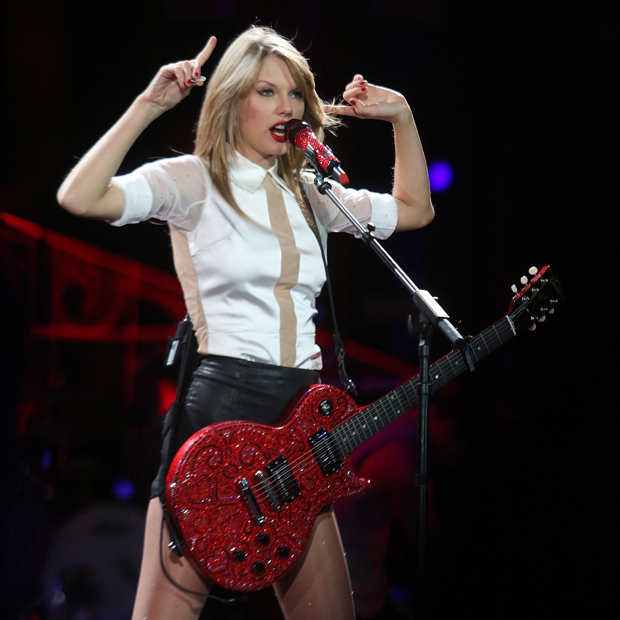 Taylor Swift is meticulous, professional and, armed with a swag of killer tunes, is one hell of a performer.